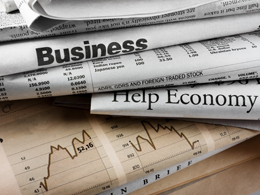 Last week’s reports covered a wide range of the economy. Industrial production makes headway. Industrial production data for September was released on Monday, with a gain of 0.1 percent, in line with expectations. The previous month’s decline of 0.4 percent was revised down to 0.5 percent. Although growth of 0.1 percent doesn’t sound like something to cheer, the good news is that, on a year-on-year basis, industrial production grew 1.8 percent. This is the first positive annual result in a year, which suggests that industry will stop pulling the economy back and start making a contribution to growth for the quarter. Inflation pretty much as expected. Released on Tuesday, the consumer price index increased by 0.3 percent in September, as expected—the most in five months and up from an increase of 0.2 percent the previous month. Also as expected, the CPI was up by 1.5 percent on an annual basis, its highest level since October 2014 and a significant increase from 1.1 percent the previous month on base effects. Core consumer prices, excluding food and energy, grew by 0.1 percent for the month, less than the expected 0.2-percent increase and down from 0.3 percent the previous month. Year-on-year, core inflation edged down to 2.2 percent from 2.3 percent. Housing loses some momentum. The rest of the week’s data was all about housing. The National Association of Home Builders (NAHB) released its survey on Tuesday, which declined slightly from 65 to 63, as expected. Despite the drop, this was still a strong result. On Wednesday, housing starts fell as well, with a surprising decrease from 1.142 million to 1.047 million, against an expected increase to 1.175 million. This was the biggest decline in almost a year (and to the lowest level in 18 months), suggesting that housing growth may be losing momentum. At the same time, however, building permits rose at the fastest pace in 10 months, indicating that the decline in housing construction may be only temporary. Finally, on Thursday, existing home sales beat expectations, increasing from a downwardly revised 5.30 million to 5.47 million, well above the expected 5.34 million. First-time homebuyers represented more than a third of all sales, the highest level since 2012, showing that buyers continue to move into the market. Distressed sales also improved, down to 4 percent of total sales, the lowest level since 2008. Both of these stats suggest that the housing market continues to normalize. Supplies remain constrained, at 4.5 months, well below the 6 months that is considered a balanced market. This week is also a mixed bag in terms of economic data. On Tuesday, we’ll see the Conference Board’s Consumer Confidence Survey, which is expected to drop somewhat from 104.1 to 101.0. As last month was a nine-year high, some decline is both reasonable and expected. Given the approaching election and the very high current level, however, there may well be some downside risk here beyond what is expected. The final piece of the monthly housing data, new home sales, will be released on Wednesday, with sales expected to tick down from 609,000 to 602,000. July saw a spike in sales, and the decline would continue to move the numbers closer to normal levels. Most likely, however, this would be due to lack of supply rather than lack of demand, as shown in the existing sales data this past week. Moving away from the consumer, durable goods orders, released on Thursday, should give us a look at business sentiment. Expectations are that headline orders increased by another 0.1 percent in September, the same as the prior month. Core orders, which exclude the transportation sector, are expected to swing from a decline of 0.2 percent to a gain of 0.2 percent. The headline number, in particular, looks risky given a decline in aircraft orders on a seasonal basis, but given general weakness in manufacturing, the core figure may disappoint as well. Finally, the first estimate of gross domestic product for the third quarter will be released on Friday. Growth is expected to increase to 2.5 percent on an annualized basis, from 1.4 percent in the second quarter, on a surge in exports and a rebound in energy industry investment. If we do see this acceleration, it would be a very positive data point.